Style at Home magazine’s Eco tips on laundry are full of bright ideas to get your whites gleaming. 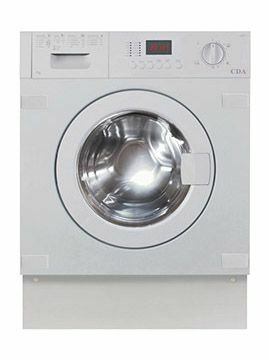 We added a few of our own hints and tips to help you get the best results from your CDA laundry appliance. To protect the colours in bright garments, turn them inside out before washing and use the coolest temperature setting that will get them clean. Distilled vinegar works brilliantly as a fabric softener, brightens whites and colours and boosts the power of your detergent. Add ½ a cup to the detergent drawer to reap all of these benefits. If you leave clothes in the dryer too long, you may be left with dried and ‘set’ creases in your clothes. Add a damp towel to the dryer and run a short dry cycle to help remove the creases. We’re Cooking on Gas…Ceramic and Induction!